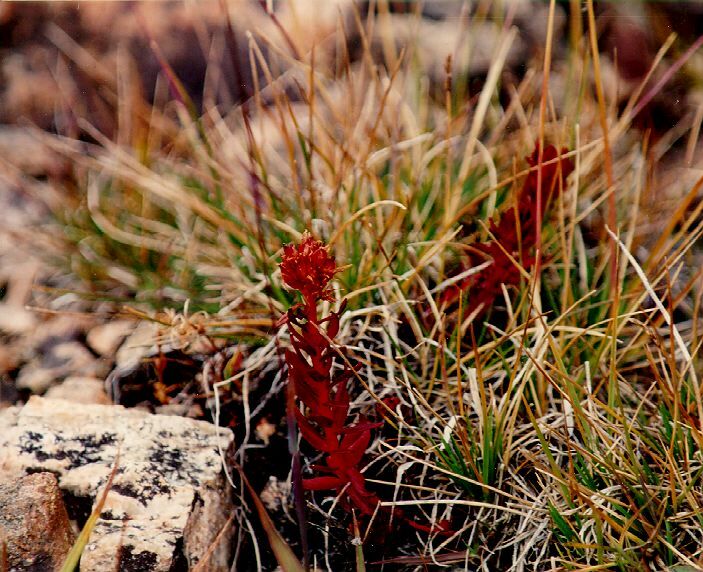 This is a small flower (don't know its name or taxonomy) growing in an alpine meadow at around 10,500 feet elevation. It's about 4 inches tall. Forest Canyon Trail, Rocky Mountain National Park, Colorado.